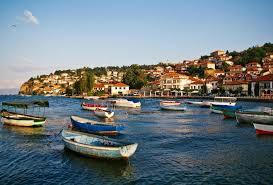 Macedonia - a small Balkan country that is famous with its balneology and mountain skiing resorts. Tourists are also attracted by the cultural and architectural heritage of the country. Properties in Macedonia are diverse and interesting for investment. New developments and secondary objects are equally noteworthy, including not only residential, but commercial real estate. The largest city of Macedonia - Skopje. This is the capital, and at the same time, cultural and economic center of the country, where life is interesting, active and rich - a great place to move to a permanent residence. For vacation trips to Macedonia are more suitable the resort regions of the country. The deepest lake in the Balkans - Ohrid, is the pride of Macedonia and unique ecosystem, listed by UNESCO as a World Heritage Site. The lake is a major tourist destination of the country, which is especially liked by foreign tourists. From ski resorts are distinguished Popova - Sapka, Mavrovo and Krusevo. The great advantage of these regions - the rental income that is waiting for you in the event of acquisition of real estate there. The cost of real estate in the country by European standards is available even for investors with an average income. In Macedonia are popular detached houses. If you have enough funds, you can buy not only a new home from the builder, but also a very interesting building with an interesting past, which keeps the spirit of local color in architecture and planning terms. However - even a luxury townhouse on Lake Ohrid can cost as much as apartments in a resort of other prestigious state in Europe. Analysts predict a rise in prices in the country, watching the growth of its popularity as a tourist destination, as well as the increased interest of foreign investors in local real estate, both residential and commercial. There are some limitations for foreign buyers of real estate in Macedonia. Foreigners are not allowed to become owners of land – they may only rent it for up to 99 years on a legal entity. There are apartments and houses in the free market, but you need to obtain prior permission from the Ministry of Justice.